Match ends, Ajax 2, Nice 2. Second Half ends, Ajax 2, Nice 2. Attempt missed. André Onana (Ajax) header from the centre of the box is high and wide to the left. Assisted by Hakim Ziyech with a cross following a corner. Corner, Ajax. Conceded by Dante. Attempt blocked. Davinson Sánchez (Ajax) right footed shot from outside the box is blocked. Assisted by Klaas-Jan Huntelaar. Foul by Vincent Marcel (Nice). Attempt missed. 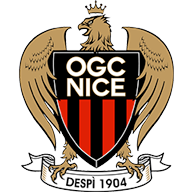 Alassane Pléa (Nice) right footed shot from the centre of the box misses to the left. Assisted by Valentin Eysseric with a through ball following a fast break. Substitution, Ajax. David Neres replaces Matthijs de Ligt. Attempt blocked. Amin Younes (Ajax) right footed shot from the left side of the box is blocked. Assisted by Frenkie de Jong. Jean Michael Seri (Nice) wins a free kick in the defensive half. Substitution, Ajax. Klaas-Jan Huntelaar replaces Lasse Schöne. Corner, Nice. Conceded by Nick Viergever. Attempt blocked. Alassane Pléa (Nice) left footed shot from the centre of the box is blocked. Assisted by Pierre Lees-Melou. Goal! Ajax 2, Nice 2. Vincent Marcel (Nice) right footed shot from the centre of the box to the bottom right corner. Assisted by Jean Michael Seri. Substitution, Ajax. Frenkie de Jong replaces Justin Kluivert. Attempt missed. Hakim Ziyech (Ajax) left footed shot from outside the box misses to the left. Assisted by Justin Kluivert. Attempt blocked. Hakim Ziyech (Ajax) right footed shot from the centre of the box is blocked. Assisted by Kasper Dolberg. Vincent Marcel (Nice) wins a free kick in the defensive half. Substitution, Nice. Vincent Marcel replaces Malang Sarr. Corner, Ajax. Conceded by Maxime Le Marchand. Attempt blocked. Kasper Dolberg (Ajax) right footed shot from the left side of the box is blocked. Assisted by Lasse Schöne with a cross. Corner, Ajax. Conceded by Arnaud Souquet. Attempt blocked. Hakim Ziyech (Ajax) left footed shot from outside the box is blocked. Assisted by Amin Younes. Corner, Ajax. Conceded by Yoan Cardinale. Attempt saved. Kasper Dolberg (Ajax) left footed shot from the left side of the box is saved in the centre of the goal. Assisted by Nick Viergever. Attempt saved. Valentin Eysseric (Nice) right footed shot from outside the box is saved in the centre of the goal. Assisted by Alassane Pléa. Valentin Eysseric (Nice) is shown the yellow card. Foul by Valentin Eysseric (Nice). Goal! Ajax 2, Nice 1. Davinson Sánchez (Ajax) right footed shot from very close range to the centre of the goal. Assisted by Nick Viergever with a headed pass. Attempt missed. Donny van de Beek (Ajax) right footed shot from outside the box misses to the right following a corner. Foul by Vincent Koziello (Nice). Attempt missed. Lasse Schöne (Ajax) right footed shot from outside the box is too high. Assisted by Amin Younes. Attempt missed. Justin Kluivert (Ajax) right footed shot from the right side of the box misses to the left. Assisted by Kasper Dolberg. Attempt missed. Valentin Eysseric (Nice) left footed shot from outside the box is close, but misses the top left corner. Assisted by Jean Michael Seri. Attempt blocked. Lasse Schöne (Ajax) right footed shot from outside the box is blocked. Assisted by Donny van de Beek. Attempt saved. Donny van de Beek (Ajax) right footed shot from outside the box is saved in the top right corner. Attempt missed. Kasper Dolberg (Ajax) header from very close range misses to the left. Assisted by Hakim Ziyech with a cross following a corner. Corner, Ajax. Conceded by Malang Sarr. 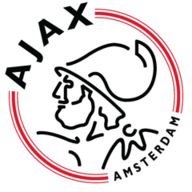 Second Half begins Ajax 1, Nice 1. Substitution, Nice. Dalbert replaces Bassem Srarfi. First Half ends, Ajax 1, Nice 1. Corner, Ajax. Conceded by Vincent Koziello. Justin Kluivert (Ajax) wins a free kick on the right wing. Corner, Nice. Conceded by Matthijs de Ligt. Vincent Koziello (Nice) is shown the yellow card for a bad foul. Attempt missed. Nick Viergever (Ajax) right footed shot from the centre of the box is too high. Assisted by Amin Younes. Attempt blocked. Amin Younes (Ajax) right footed shot from the left side of the box is blocked. Assisted by Donny van de Beek. Attempt missed. Kasper Dolberg (Ajax) left footed shot from the left side of the six yard box is high and wide to the left. Assisted by Justin Kluivert with a cross. Goal! Ajax 1, Nice 1. Donny van de Beek (Ajax) right footed shot from the centre of the box to the bottom left corner. Assisted by Hakim Ziyech. Attempt blocked. Hakim Ziyech (Ajax) left footed shot from outside the box is blocked. Assisted by Donny van de Beek. Attempt saved. Bassem Srarfi (Nice) left footed shot from outside the box is saved in the centre of the goal. Assisted by Vincent Koziello. Corner, Nice. Conceded by Davinson Sánchez. Attempt blocked. Vincent Koziello (Nice) right footed shot from outside the box is blocked. Assisted by Malang Sarr. Offside, Ajax. Nick Viergever tries a through ball, but Amin Younes is caught offside. Vincent Koziello (Nice) wins a free kick in the defensive half. Foul by Maxime Le Marchand (Nice). Attempt blocked. Kasper Dolberg (Ajax) right footed shot from outside the box is blocked. Assisted by Amin Younes. Attempt missed. Jean Michael Seri (Nice) right footed shot from outside the box is too high from a direct free kick. Attempt missed. Alassane Pléa (Nice) right footed shot from outside the box misses to the left. Assisted by Bassem Srarfi. Attempt missed. Alassane Pléa (Nice) left footed shot from the centre of the box misses to the right. Assisted by Bassem Srarfi with a through ball. Goal! Ajax 0, Nice 1. Arnaud Souquet (Nice) right footed shot from the right side of the six yard box to the centre of the goal. Attempt saved. Pierre Lees-Melou (Nice) left footed shot from the left side of the box is saved in the bottom right corner. Assisted by Alassane Pléa with a through ball.